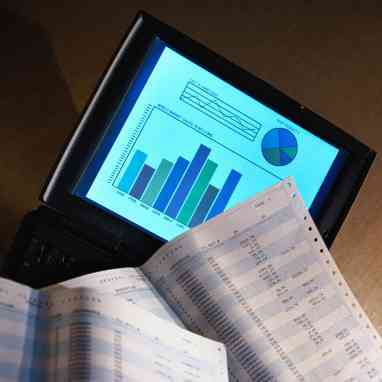 A Bachelor's degree in management information systems is a fairly new area of study. This field is intended to bridge the gap between the computer science area of study and the business world. A degree program in management information systems, often referred to as MIS, is designed around the foundations of computers and information. This course of study has a goal of presenting learning opportunities to students through the use of a variety of models and mathematical processes. Students pursuing a degree in management information systems will learn to use software, data, and technological procedures to study computer based systems of information. Furthermore, these students will be focusing on how computer network systems are used by individuals to gather, process, create, and distribute data; which is focused more on a system's functionality rather than the design. Find Bachelors degree in management information systems. Prior to entering a management information systems degree program you must have obtained your high school diploma or the equivalent. Depending on the post-secondary school you choose to attend, you may be required to have additional technology related pre-requisites. Of course, you should have already completed at least a portion of your general education core courses at this point. Due to the nature of the courses required in the management information system degree program, it will be beneficial for a student to be proficient in both language arts and mathematics. While working to complete your Bachelor's degree, you will likely need to take courses such as business applications, operating systems, the development and management of databases, and systems development. Once you have completed the course work required for your Bachelor's degree in management information systems you will have your Bachelor of Science degree. You will be trained to solve business related problems through the use of technological systems. Since this career is currently in high demand, your training is sure to get you on the fast track to gainful employment that you can enjoy and thrive in. Your long term success in this highly competitive field will largely depend upon you continuing your education beyond obtaining your MIS degree. This will help an individual to stay current on technological trends and advances so that he or she can keep up with the competitive edge of this business. Your Bachelor's degree in management information systems will make it possible for you to pursue a career as a software designer or software developer, a system or database administrator, a business or system analyst, a technology consultant, a project manager, a chief technology officer, a programmer analyst, or a network administrator. Generally speaking, most individuals who have a degree are employed by insurance companies, firms who publish and develop software, corporations who design technological systems, and management companies. On any given day, a job in management information systems could have you communicating about design choices that will best suit the technological needs of a company, dissecting the problems a business faces, and determining the areas related to technology that could be affected by ethical issues. Managing an IT staff can be challenging. Some of the skills you might already possess but some will need to be learned. During your Bachelor’s degree in MIS you’ll pick up a lot of skills that use in your new career. The below 5 characteristics are possessed by IT managers. New Technology – As an management information system manager you’ll always be looking to protect the company you work for by implementing state-of-the-art technology. Delegate and Communication – Great MIS managers knows how to delegate responsibilities based on the knowledge of the employees that work for them. Calculated – A good manager is calculated with their management style and how they implement technology. They take calculated risks that won’t affect the performance of their team or the safety of the company. Cost Effective – IT managers save companies money. They help by implementing software systems that save employees time and money. Problem Solver – One of the top characteristics of a MIS manager is the ability to be a great problem solver. Issues always come up and great managers have the ability to solve issues as they come up. Earn your Bachelors degree in management information systems today from an accredited school.